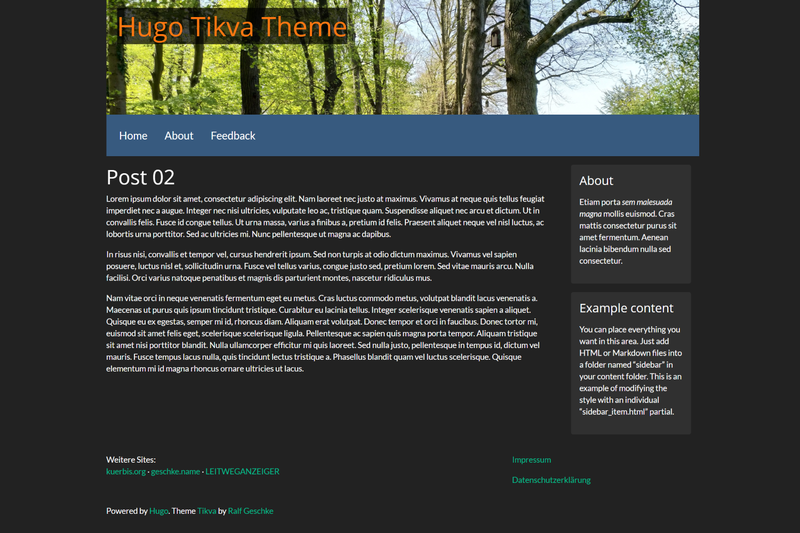 Tikva is a minimalistic Hugo theme, based on Bootstrap v4 CSS framework. 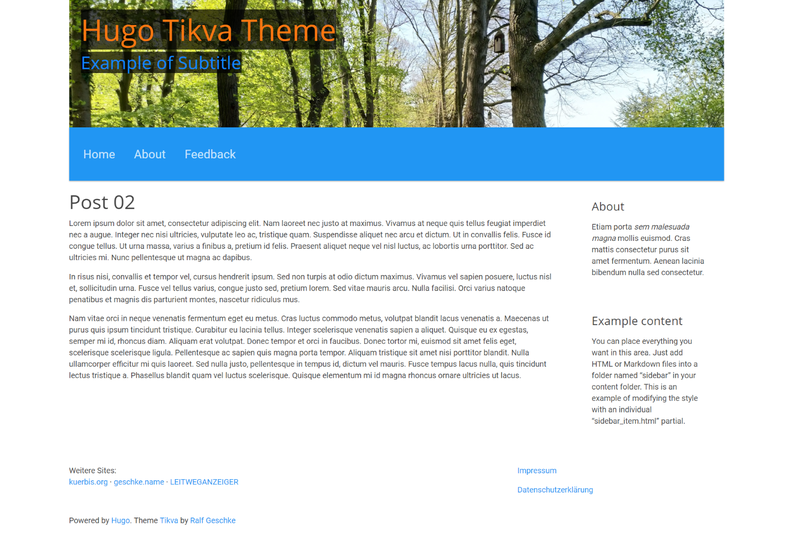 It is a port of the Tikva theme which I developed a while ago for Grav CMS and WordPress, but there are also some features added from the (currently unpublished) Azbalac Theme for WordPress. 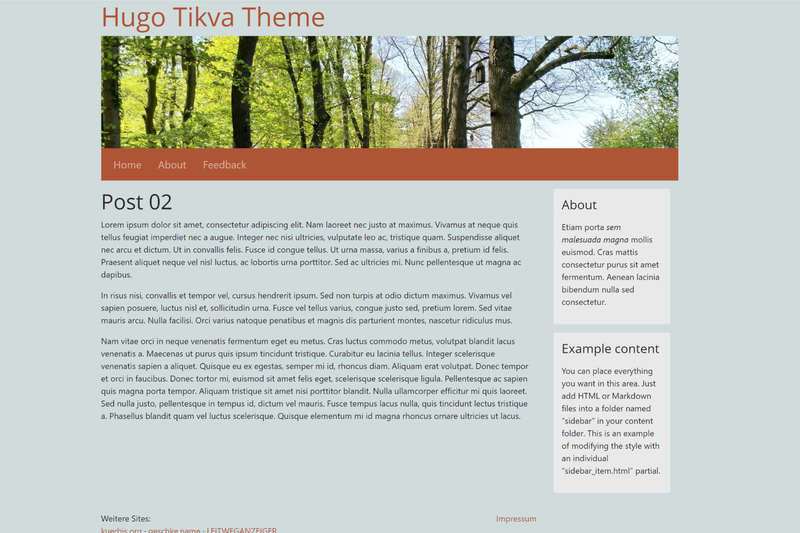 Tikva integrates multiple Bootstrap styles from the Bootswatch project and adds some customized styles. It’s also possible to edit some color options by config option. Check out exampleSite/config.toml for theme configuration options and the contents of exampleSite folder. I’ve tried to comment as much as possible in the configuration file, but the theme and documentation are far away from being complete. It is still work in progress and currently some features of Hugo aren’t supported. 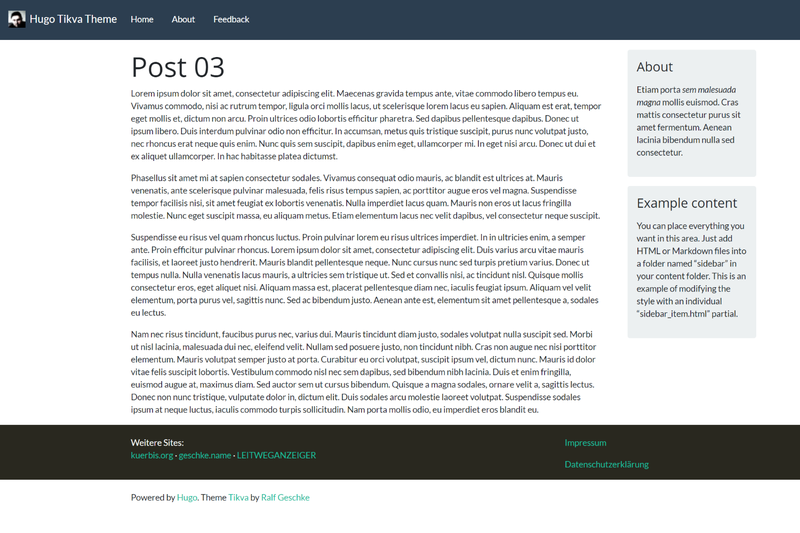 The navbar displays the main menus by default. You can find more details about how to configure it here, as well as in the exampleSite. Thomas Park and the contributors of the Bootswatch project.